Beaches are one of the greatest sources to relax, comfort and enjoy. People can come and paddle, swim or surf through the smashing waves. 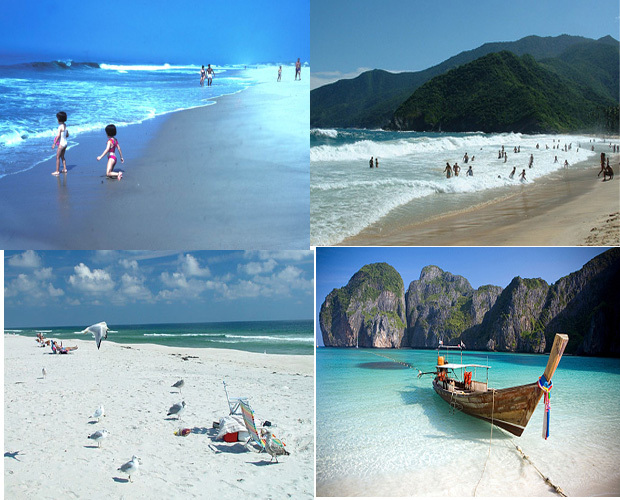 They can have a chance to take rest, can have sun bath and can feel the sootiness of golden sands of the beaches. When we make a plan to visit beach we want to know that which is the best beach in the world? Answer of this question is given here. 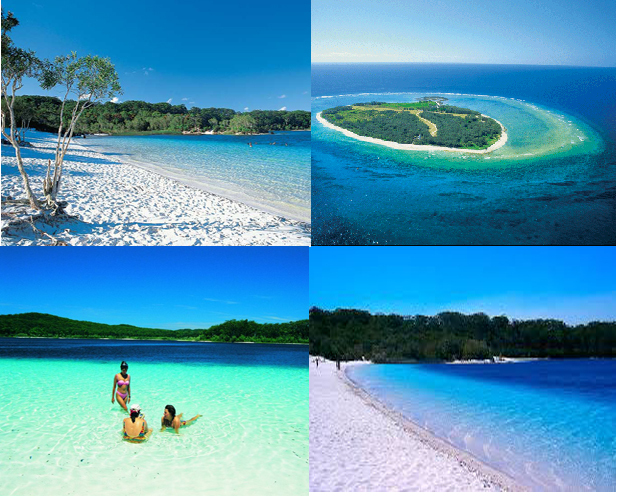 Following are the top ten beaches of the world 2013. Very renowned and highly considered when it comes to categorizing the beaches in regard to best beaches of world. 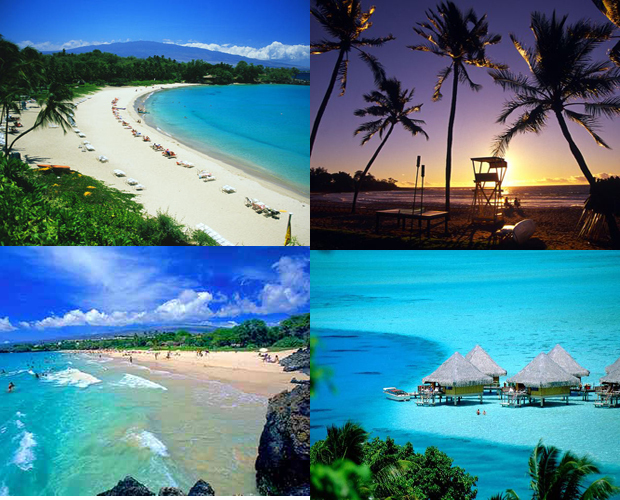 So go through that and find the beach of your own choice that fulfills your requirement and match your holiday plans. Good Luck . . . !! Here detail is given about Top Ten Beaches In The World 2013. Kauna’oa Bay is situated on Kahala Coast in Hawaii. It is said to be the quintessential Hawaiian spot. The beach appears to have crescent in shape, plenty of clear and fresh water, swaying palm trees and piles of shiny white sand providing an excellent and beautify environment to swim , sunbath and foremost to relax. Of the few sand beaches of Kohala Coast this one is the amazing one to be viewed, at the western side of island of Hawaii. This is said to be one of the best beaches of the world. There exists a surf protection by a natural rock reef. This beach is located in front of the Mauna Kea Resort where you got to have a lot of facilities but offering limited parking. This exceptional beach provides you with the facility to swim, snorkel and boogie just for recreation. There are certain rules to be followed like monitor the weather conditions before entering the water because the beach provide no life guards on duty. All above the beach is a splendid place to visit or it may be said a worth seeing place to enjoy. The beach offers Restrooms, Showers, Volleyball court, Swimming, Snorkeling, especially around the rocks on the left side of beach along with a Limited parking at resort. This is observed to be more than enough to set, enjoy a healthy and remarkable tour. The Name Langkawi means “The Land of One’s Wishes or dreams”. For the traveler seeking to escape Langkawi has become a modern hideaway. You will find your concerned content in this beach if you think of a vacation extended from being non crowded white sands along with pure and clear water to the lush green plants. Datai Bay is heavenly retreated on the Andaman Sea. The definite part of tourists being attracted by this island is due to white sandy beaches along with the coconut trees that sway along sand and the blue, crystallized water. Langkawi beach is, for the shopaholics, a shopping haven as you can get everything from liquors to the cigars, chocolates to fashion apparels and many many more at the low prices. Mostly population here is Malays up to 90% and remaining 10% are Chinese, Thais and Indians too. The beach involves a cranking up number of tourists day by day and for accommodating them they have a section focusing to work on the out-class hotels and resorts. Along with that for an adventurous tourism day cuisines, factory shopping, food and beverages, sun bathing, diving, zoo and exhibition centers would also be introduced. Think of Langkawi when you ever think of adventures and sceneries. Although Caribbean Sea is surrounded by many islands but St.Bart’s stood first, it’s because it is actually the beautiful blend of French chic along with the island relaxation. The finest French cuisine, glorious resorts, lush plants, quite and deserted beaches along with a set Jet makes this island one of the best beaches of the world. This focuses on providing best environment to people to swim in the clean and sparkling water with shiny sand and even in sunbathing. The night blooming cactus, eclectic mix of iguanas, designer boutiques and luxury yachts adds a splendid and incredible beauty to the beach. This island is too famous for a strong hold and for an independent personality. Moreover it is certainly the most unusual of the French West Indies Island. Most of the time of year, the puffy cloud are observed to cover the island indirectly adding the beauty of the place with the clear blue sky and warm breeze that ruffle the hair gently. AS the beach is one of the best beaches of the world so if offers the services up to the mark and standardized and de to these factors this is supposed to be visited by the classical, wealthy American celebrities and the Yachtsmen. Collectively the Beach is said to be the best beach in case you want to enjoy your holiday to the full or you want to cherish any moment that needs to be remembered years after. 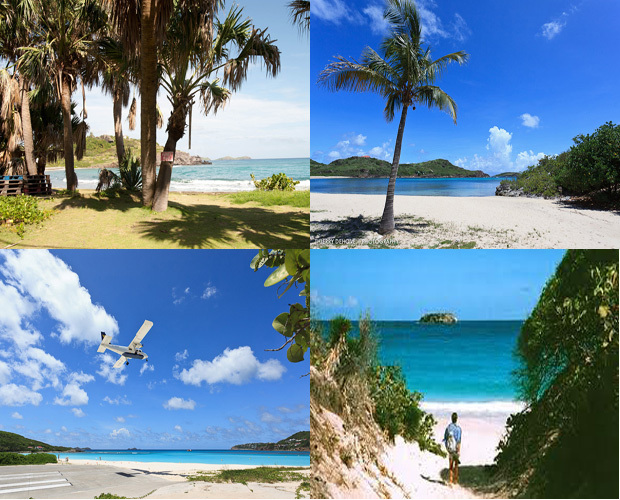 We suggest St.bart’s is the best choice to be chosen. Fraser Island is the worlds’ greatest islands ever known all in all a wonderful and amazing beach which stand at number seven position in the list of Top Ten Beaches In The World 2013. This is said to be an ecologist’s dream of natural paradise being not spoiled. The Fraser Island located in Australia is considered to be one of Queensland’s most sought. It offers an extremely large area of accommodation range and of tours. It is located in such a place where it is supposed to be accessible easily often via barge. Fraser beach offers a lot more services that start from watching whale, or its better to call worth watching the whale in Hervey bay, to the Fraser island heritage. While the Hervey is said to be the greatest known gateway to the Fraser island. It has the attractive stuff to attract the tourists as well as it is a famous destination for the worldwide backpackers. There appears to have 600,000 visitors coming to Fraser Island annually. Fraser Island is one of the largest sand islands in the world; the heart shaking beauty along with the truly attracted stuff makes it the significant destination among others. Just get in and enjoy exploring the rainforest, the experience that is commemorated ever after. Having sand sparkling, clean and clear lakes and lush swaying trees. More over the excess of animal species nad huge plan life adding beauty to island. Due to its uniqueness in environment it is said to be the largest sand island in the e whole world, an amazing place where sand grows the rainforest. There happens to have number of lakes too on the island beautifying the place largely along with the pure, white sand and crystal clear water clean enough to see inside even. 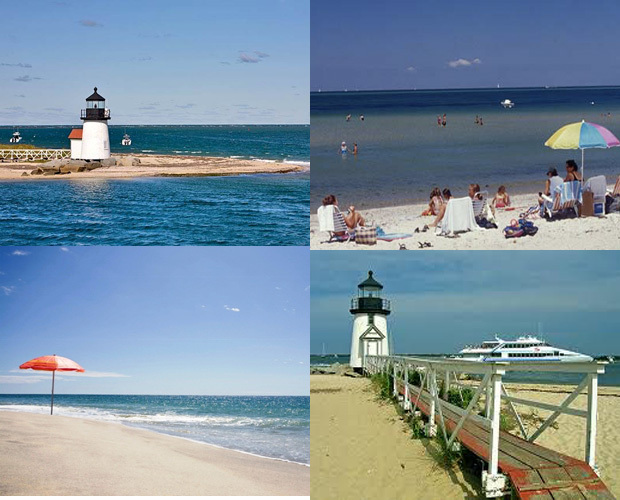 The most beautiful and pristine beaches in the world makes Nantucket beach. Although the Nantucket is having a fragile environment but we need to respect the beauty and cleanliness of this island. There appear certain rules on cleanliness where you are supposed to clean up your litter giving respect to the property and you are not allowed to cross the fence or barriers, which are held for your safety. Collectively this beach is a regard to beauty too where you feel close to nature and are provided with every kind of service you need to make your holiday plan the most memorable and remarkably wonderful. This includes North Shore Beaches involving gentle surf for children and south Shore Beaches to have heavier surf. While taking about another kind of beach we have East Shore Beaches, which are famous for being more adventurous. Although limited parking slot but permits to drive. The most popular beaches in North Atlantic are Surfside and Children’s’ beach. First looking up for this surfside beach appears to be one of the most popular beaches in Nantucket. The notable thing for the beach is; Shuttles being offered too and very family friendly. It provides easy parking for your car or bike. As it is quite a wide beach so considered very good to picnic there, to have beach games played and even surf casting. Every kind of services is given in good number like showers, public phones, food services, lifeguard, restrooms and many more. Kite flying is not prohibited but is avoided when beach is crowded. Secondly we have Children’s Beach, where flotation gadgets are not permitted in the guarded area. It is said to be an ideal place for the small kids as it involves the playgrounds, parks, restrooms, food services, lifeguards and picnic tables. All the services provided are accessible. So just join in to feel the real fun close to nature. Look how it feels. 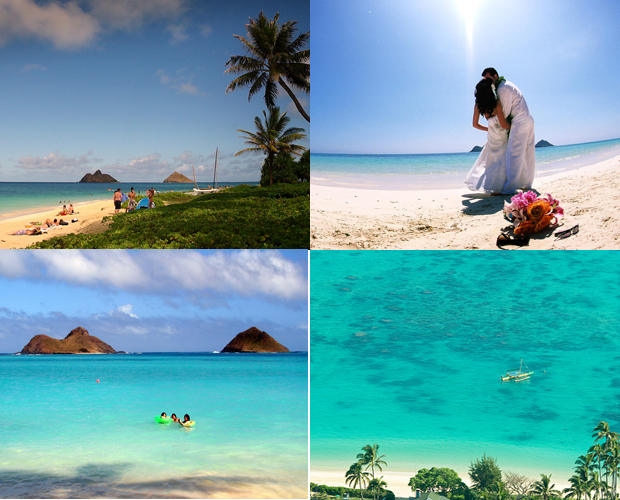 Lanikai is one of the most scenic beaches of Hawaii. This is considered one of the best beaches of the world. It includes certain factors that make it more beautifying to visit and giggle. Palm trees that sway over a white beach, lush green plants, endless sunshine and sparkling sand collectively makes it a magical island. Water there is realistically clean, pure and deep green. The beach is said to be the public property it is not a state land or we say it’s a country beach park as many are in Hawaii. As it has not been attached to any of the state or country it doesn’t mean it doesn’t have the spark that is needed in beaches. It is situated in that place where there is no public parking lot and the facilities like restrooms and showers are lacking. During weekdays the beach is vacant but the weekends are fluffy and tourists are at its peak making it extremely crowded. As it is situated on the east side of the island, for that Lanikai is considered as being the greatest place worth to watch the moonrise over the Modulus. In sight if moonrise the Full moon is having its own craze and is particular to watch that. Hamptons titled with few of the prettiest beaches on Long Island in terms of air kissing, beauty, fantasy, well-heeled set and in comforting. There appears to have five beaches in the village of East Hampton the best thing about that is that these are owned and even operated by the villagers. It includes Georgica Beach, Main Beach, Wiborg Beach, Egypt Beach and Two Mile Hollow Beach. The three of which are life guarded beaches. There is a beach schedule being observed at Hamptons where days with timing are mentioned to provide ease in knowing about so you can plan accordingly. Litter is supposed to be in the baskets to keep that beautiful place healthy and clean for it is among in beauty among the best beaches of the world. The Hamptons have designated time to dive in as well like 9 am to 6 pm is usually the approved time. In case of animals they have mentioned the clear fair instructions not to bring your pets with you or simply pets are prohibited. Although the alcoholic beverages are strictly prohibited but the beach parties are arranges and every one is welcomed to join in. Firework show is there arranged by Hamptons but fire is not allowed. In case emergency the emergency numbers are pre informed to every one. All in all this is one of the best beaches of the world ensuring everything in service that is required. Bora Bora said to be as amazing as its name, the magical island in beauty. 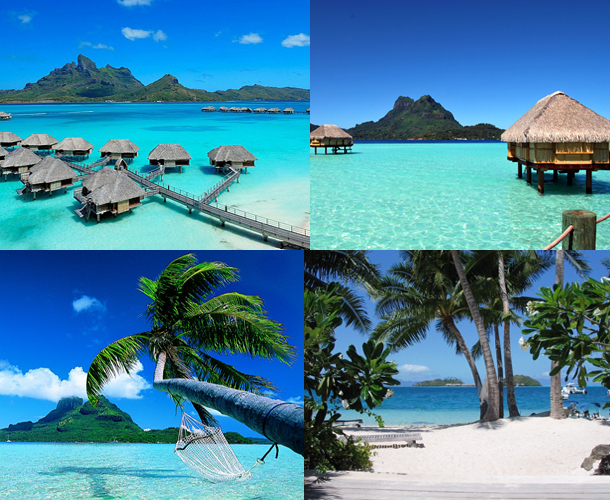 Bora Bora is famous to be said “Romantic Island”, where you would have anything that’s your priority. This is a place which involve romantics from over all the world called this place a magical one in terms of enjoying “real love” along with that they have laid claim to the island due to the castle-like Mount Otemanu that pierces the sky. The beauty of Bora Bora includes the lush tropical slopes and the fully blossomed hibiscus valleys. Perfect beach where white sand gives a way to emerald water and inside that are the colorful fish ready to greet the manta rays. With all the fantasized luxuries to the real relishing moments this is described one of the best beaches of the world. More ever it is said to be the center of romantic universe more than the beach only. The beach is flooded with luxury resorts and spa centers, along with villas and legendary flavors. Along with that many more services. 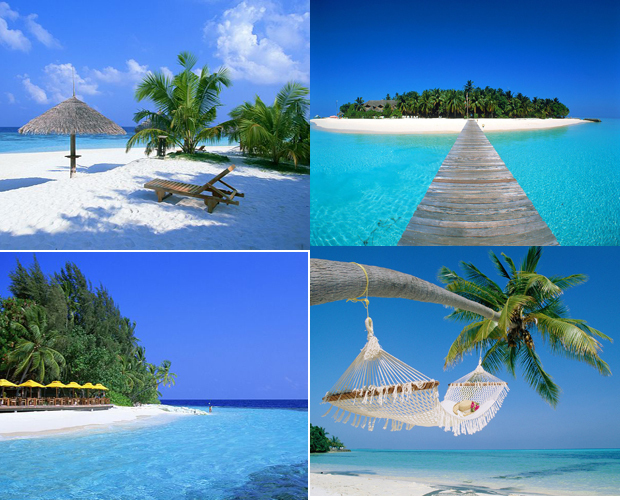 The 2nd one of the best beach to be included in the list of the Top Ten Beaches In The World 2013 is The Maldives Beach. Maldives are a kind of an island that fulfills your requirements as if either you are planning to have an extraordinary beach trip along with a few pampered nights in a resort or you are eying to have swimming some 24 meters under water. As long as the history has been recorded people from surrounding regions have come in contact with this beach. Such contact not only contact the people but their language, values, beliefs, attitudes, art, customs and civilizations too. Although Islam dominates there as many of the Maldivians still believe on the oneness in faith and upholding the unity but recent intruding waves of reform have build the new country having new ideas and attitudes. There are many reasons that you want to travel and enjoy in one of the soothing and comfortable islands of the world. Either you are planning to have your honeymoon trip or any thing else that needs to have a remarkable commemoration, Maldives beach is considerably the best choice in terms of beauty , regard, safety, romance, sun bath, diving, shinning sand , essence of nature and many more. Once you are in, after spending hours of fantasy in there you will love to be in this magical island to have that feeling again. Throughout the year this magical island have warm seas that have high visibility, clean water enough to see fish passing in. Night diving is specifically worth to mention here just awesome and incredible. These perfect environments have made the Maldivians one of the world richest diving areas. Along with all that this is the one of the best beaches of the world. The best beach of the world is Seychelles. It is said to be the beaches that is most photographed. It is situated across the island of La Digue. This archipelago consists of 115 components out of which 1 are in the Indian Ocean. Worn by time and weather the sand sparkles at the backdrop of towered granite boulders. By the reef the water has been protected from the oceans’ water. 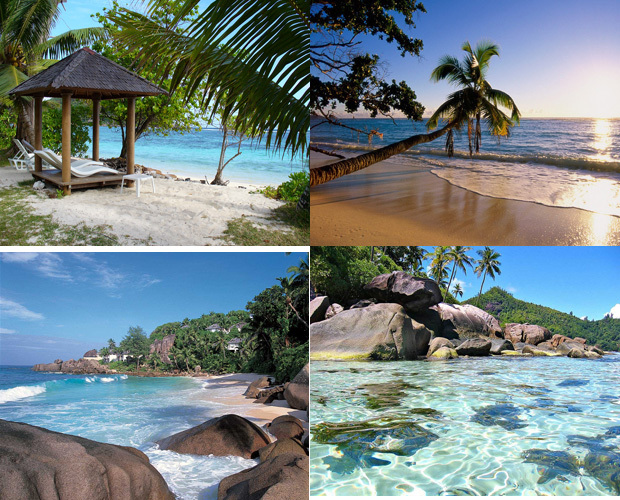 The Seychelles provide the services that are interesting and amazing too. This is said to best beaches of the world when it comes up to Romance, sailing, diving, fishing, accommodations, special offers and travel essentials. With a suit full of what’s required in, just get in to the place and have fun in the one of the best beaches of the world. The beach is the remarkable way not only to take a jump and relax but even a way to how to get in the beach with special measures to be taken. Technically including How, when, what and where? Along with all that Seychelles helps you out in arranging a great trip to the beach with the provision of all these luxuries they have mentioned. Even in depending on when you intend to travel to Seychelles, you will be glad to know that they have a special offer in hand to make your time memorable. Write of Top Ten Beaches In The World 2013 is Shekinah Edwin.